Located in the heart of the Southwest, between the Mediterranean Sea and the Atlantic Ocean, the pink city (nicknamed so because of the colour of the traditional local building material) happily combines heritage and art of living. 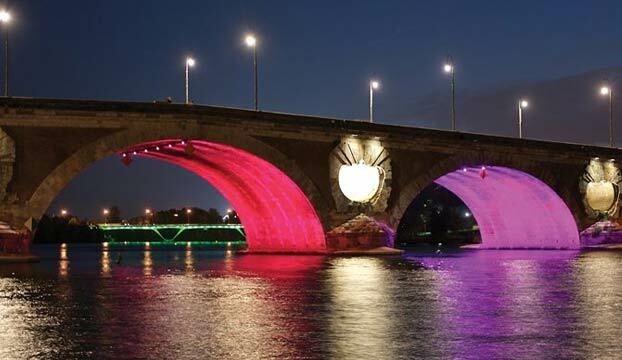 It’s a modern city which is proud of the legacy of its past, open and radiant, the pink city will undoubtedly seduce you with its unique lifestyle and its rich historical heritage. The centre of the town of Toulouse is old and full of charm, it’s made up of many small streets which run in practically all directions before reaching the imposing Capitol Square, the heart of the city. The roots of the past are still visible in Toulouse, Occitan can be seen on the boards and, the local cuisine will certainly never lose its consistency: duck and sausage becomes the traditional cassoulet. Linking Toulouse to Sète, the Canal du Midi is a UNESCO World Heritage Site since 1996. The Saint-Sernin Basilica, Europe's largest Romanesque building, is also listed since 1998 under the roads of Saint-Jacques de Compostelle. Home to the headquarters of Airbus and to its parent company Airbus Group, Toulouse is the European capital of aeronautics and space industry. The iconic sport in Toulouse is rugby, the rugby union club of the stadium in Toulouse holds the best track record at the national level as well as at the continental level, with a total of 19 league titles in France and 4 titles of European champions. 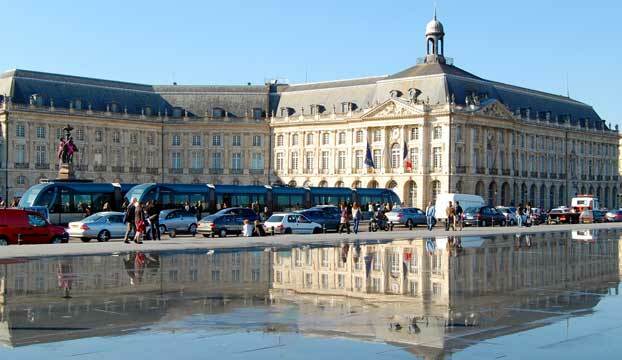 A rich cultural life, the warm atmosphere of the south west and the attitude of “Bon vivant” all accompany the typical festive spirit of Toulouse. Quite a lot about life in Toulouse involves lying on the riverbank, strolling or cycling through the many green parks and just watching the world go by. 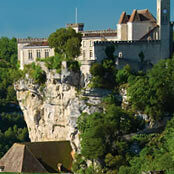 Southwest France has a much more relaxed vibe than Paris and taking the time to stop and really enjoy life is considered incredibly important. 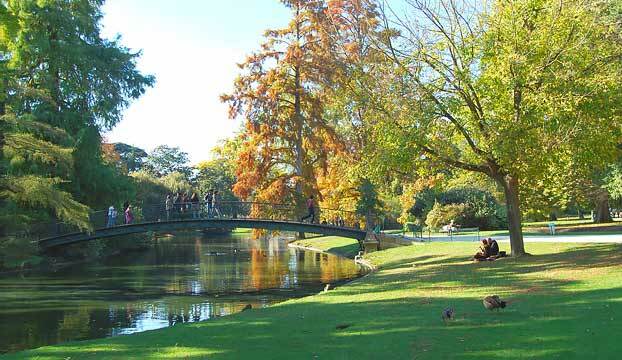 Recommended places for a walk include the Canal du Midi which runs for 240 km from Toulouse to the shores of the Mediterranean Sea, the Promenade Henri Martin, Prairies des Filtres and Le Jardin Raymond VI. Among the many places to see are Basilique St Sernin. Even if you’re not usually interested in churches, the beauty of this Romanesque basilica will definitely win you over. 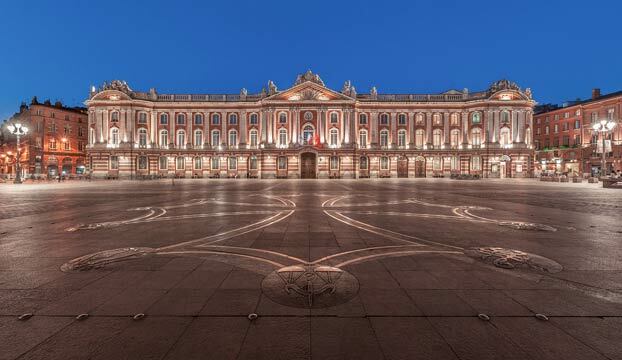 Le Capitole: This is the building in Toulouse that really stands out with its eight marble columns and a sprawling pink facade that stretches across the entire length of the central square. Fondation Bemberg: A rich collection of Renaissance paintings fill the rooms and corridors of this mansion, but it’s the setting that’s the most enticing, with pink-brick arches and a tranquil courtyard it offers a glimpse into the past and into Toulouse’s golden age. Le Musée des Augustins: The architecture of this museum in Toulouse really steals the show, housed as it is in a beautifully restored Gothic monastery. 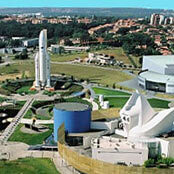 Cité de l'Espace: Combining fun and education, this Toulouse theme park dedicated to the exploration of space features an array of interactive exhibits and experiments. Here you can climb aboard a Soyuz spacecraft, see a replica of the MIR space station, or even one of the Ariane 5 launch rockets. During antiquity, the area of Toulouse was populated by the Volques Tectosages. With the arrival of the Romans a prosperous colony named Tolosa was founded. The city was then occupied by the Visigoths, Franks, Vandals and the Saracens. During the Middle Ages, in the ninth century, the counts of Toulouse took over the power of the town which became wealthy and embellished during the succeeding centuries. The city gets municipal autonomy at the end of the XII century. When Languedoc was attached to France in 1271, Toulouse maintained its municipal freedom and the capitouls (representing the traders) continued to rule the city. In 1444, Toulouse became provincial capital and acquired a parliament. In the XVth and XVIth centuries Toulouse flourished as a result of its trade in pastel works and the city was embellished thanks to large fortunes. However the arrival of indigo settlements ends this valuable commerce and the city suffers religious wars. In the XVIII century the city gets rich again as a result of the wheat production and trade on the canals of the Midi and Brienne. 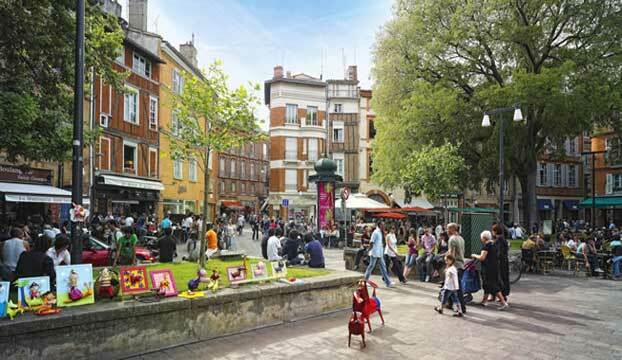 In the nineteenth century Toulouse plunges into a certain “bourgeois” lethargy and becomes industrialised only during the First World War as it is located far from the battlefields. Sud-Aviation, later known as Aerospatiale, is created between the two wars. The city is still headquarters to Airbus and also specialises in chemistry and biotechnology.